For parents, grandparents, and guardians of Little Leaguers®, The Parent Connection is your newsletter and we encourage everyone to let us know what’s on your minds. Your Voice is a way for readers to share questions with us, and an opportunity for Little League® to provide some important information and guidance. We are excited about our continued conversations, and, as always, we invite you to share your thoughts, suggestions, and questions. Kevin from New York – I bought my son a new bat for Christmas, and just came across information on the web that stated that baseball bats approved for Little League play this year, will NOT be able to be used as of January 1, 2018, in any Little League games. Are there any exceptions? 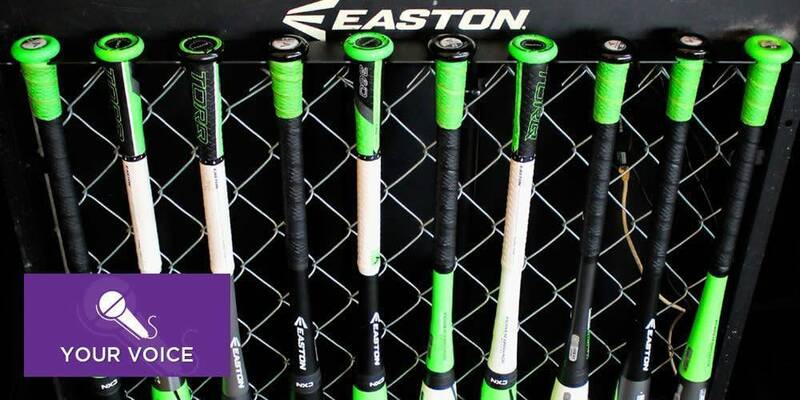 The Parent Connection – Little League Baseball® will have a new bat standardeffective on January 1, 2018. All national members of USA Baseball, including Little League, are being encouraged to adopt this new standard, which was developed by a USA Baseball committee of scientific experts. Little League-approved bats can be used through December 31, 2017, but will not be permitted for any Little League practices or games beginning January 1, 2018. For the 2017 season, the current bat regulations will remain in effect. That includes the moratorium prohibiting the use of all 2 ¼ inch barrel baseball bats constructed with composite material in the barrel, unless approved. All local leagues have been instructed to make it a priority to notify parents and league members of this impending change. Any baseball bat purchased for the 2017 season will not be approved for Little League play in 2018, with NO exceptions. As a reminder, this new bat standard ONLY applies to baseball bats. Michael from Connecticut – I was wondering why Little League decided to change what parents need to show at registration child to play in a local Little League? TPC – Little League has not changed or added to the original list of 17 accepted residency documents, but has further refined the organization of these documents in order to help clarify the physical residential location of each player in a local league. The different types of documents that can be used to show that a player lives inside a league’s boundary have been outlined by three groups. It’s important to note that certain documents may be used in different Groups, but will count for only one Group per child. Little League has created several resources to help explain how to organize the documents for the purpose of player registration. This information is to assist both the parents, or legal guardians, registering players, and the local league officials who are assessing and verifying the documents. Barbara from Oklahoma – I’m a softball manager and have used the Little League WeatherBug application to track storms and lightning before and during games. Now, I hear that the phone app isn’t going to be available anymore. What does that mean? TPC – WeatherBug launched a Little League-specific weather application for mobile devices in the spring of 2014. At the end of February (2017), the Weatherbug app will no longer be available. Little League International is advising its local leagues to locate an alternative resource for providing meteorological information. Jerry from Arizona – I am not an official coach or manager, but I’m helping keep the pitch count for my son’s Major Division team. Am I allowed to buy a 2017 rulebook, so that I can better understand the pitching regulations? TPC – Anyone can purchase a copy of the Little League’s 2017 Official Rules, Regulations and Policies publication (a.k.a. Little League Rulebook). The 2017 Little League Rulebooks are now available for purchase through the Little League online store. The electronic rulebooks are available on Amazon and iTunes. The changes and updates for 2017 are available for review at LittleLeague.org. Arturo from Texas – My daughter is 10 this year and her birthday is in October. She’s had fun playing baseball in the minor division of our local league, but I’ve been told that that “league age” is different between Little League Baseball and Little League Softball®. If she wants to continue playing baseball in Little League, what would her league age be next year (2018)? TPC – Beginning with the 2018 season, the league age “cut-off” for Little League baseball divisions is August 31. So, your daughter would be considered league-age 11 next season, if she continues to play baseball. The new league age determination date is explained further on both the LittleLeague.org and Little League University websites. To clearly determine a player’s age according to the 2017 league age charts for baseball or softball, use the league age calculator.